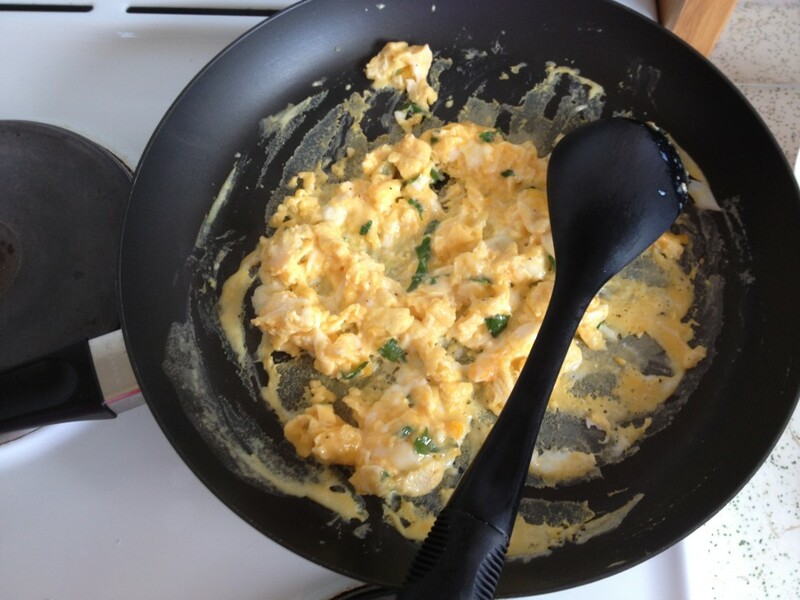 There are not many items on Earth as amazing as eggs. Anyone that knows me will attest to my love (obsession) with them and how often and many I consume. In fact perusing my Instagram account will give you a pretty good idea….. Any food that has all the attributes mentioned below AND can be prepared ahead of time and in no time at all is up there in my book!! 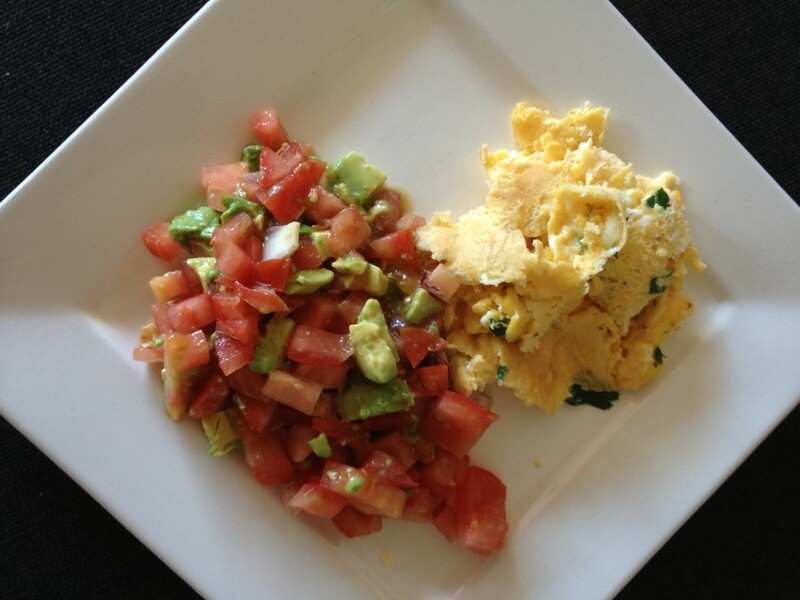 Eggs are a complete protein food source. The protein is among the highest-quality of any food source. Additionally; found in just 1 single egg are 13 essential vitamins and minerals in varying amounts, unsaturated fats and antioxidants and (dependant on size) only 70 calories. Even organic, free-to-roam/free-range eggs are affordable and easily accessible a product without having your own hens. In short – they are seriously good for you. 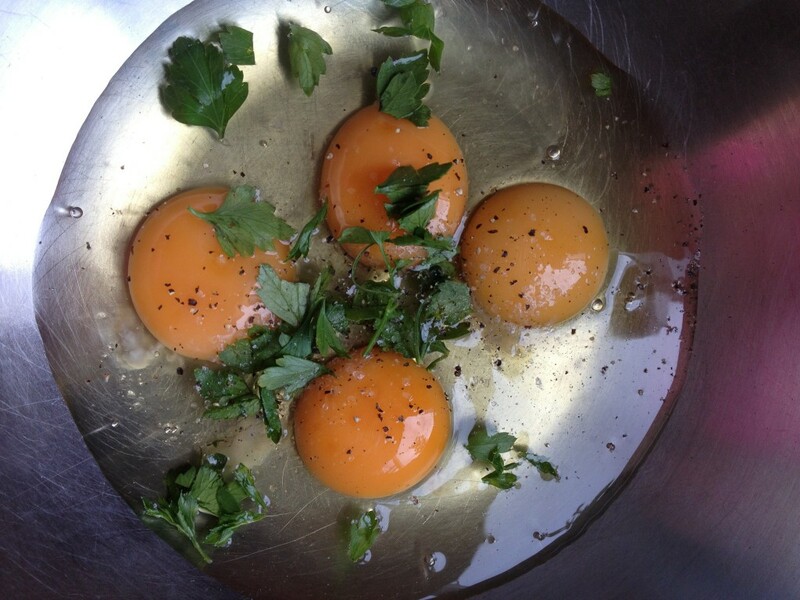 This recipe was made using the scrumptious eggs supplied from Rock Chic Eggs – a local and sustainable farm in Sydney. When cooking with herbs, tearing them up roughly works well for taste, scent and time. As eggs are so versatile you may choose to have this meal with a quality toasted grain bread, a side of veggies, fruit and/or another protein source, for instance cheese. I usually enjoy this recipe with my version of a salsa - vine ripened tomatoes, red onion, avocado, salt, pepper & lemon juice.